When there’s a chill in the air, nothing sounds better than a hot cup of coffee or tea. But what are the health benefits and risks of these popular beverages? The answer may be much easier to swallow than you think. Americans consume over 400 billion cups of coffee every year. The drink has been blamed for everything from increased heart rate to insomnia – and those may be valid complaints, especially for heavy coffee drinkers. Recent studies give a brighter picture for those who drink a moderate amount. Black coffee has no calories or fat. The caffeine in coffee enhances mood and performance by blocking neurotransmitters that slow brain activity and by affecting other neurotransmitters (i.e. serotonin) that affect mood. In fact, 14 studies with healthy, rested subjects showed improved alertness, short-term recall and reaction time. In addition, coffee contains healthful antioxidants which may lower the risk of stroke and of heart disease in females. Moderate daily intake also helps keep the body hydrated. So, how much is too much? Because caffeine amounts vary among coffees, a maximum of 1/3 to 4 cups per day is recommended, depending on your java of choice. On any given day, over 158 million Americans drink tea. There are three main varieties: black, green and oolong, and benefits depend on the type of tea. All tea is full of antioxidants, and the strongest evidence for health benefits is on the side of heart health. 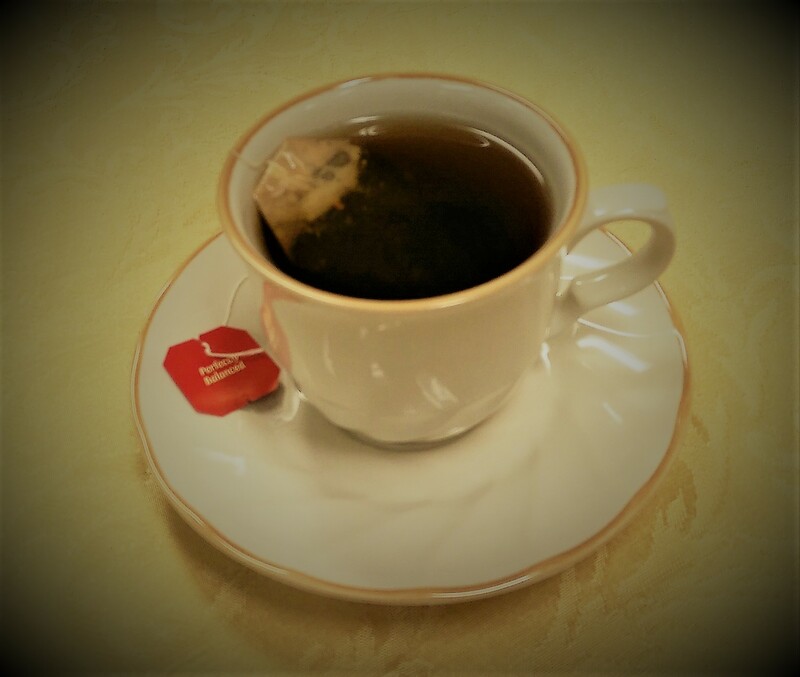 Black tea may protect against Type 2 Diabetes and there is some evidence for lowered heart attack and stroke risk. Green tea is a traditional Chinese remedy for headache and depression. It may also help with heart health by lowering cholesterol. Unfortunately, there is no direct evidence for tea being helpful with weight loss. Since typical caffeine levels for tea are less than half that of coffee (20-90 mg compared to 50-120 mg), the recommended maximum range of intake is 1 to 8 cups per day. That’s the scoop! Enjoy your coffee and tea in moderation, limit added cream or sugar, and you’ll be treating your body well. Caruso, L., Shelnutt, K., Kauwell, G. (August 2014). Hydration Myths. http://edis.ifas.ufl.edu/fy1409. Santa Rosa County Extension Agent with UF/IFAS.Focus areas include nutrition, food safety, injury prevention, and healthy families.Bachelor's degree in Social Work from University of West Florida.Master's degree in Public Health/Health Education from University of South Florida.